I love taking baths, but since summer just ended I haven’t been taking as many baths as I usually do during the rest of the year. One of the main reasons I love baths is because if I’m cold it’s the prefect remedy and it’s also very relaxing. 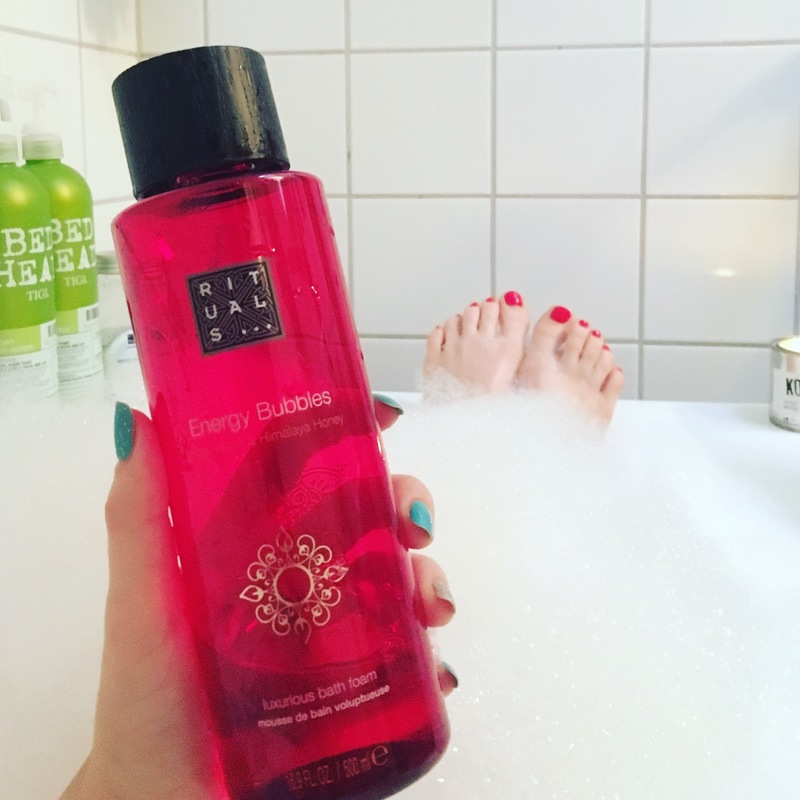 Here’s a bath favorite of mine, Energy bubbles from Rituals, a rose scented bath foam that gives a nice bubble bath. I’ve almost used it all up and the next one for me to try is The ritual of sakura bath foam, also from Rituals. And I have a feeling that it will become a favorite, since The ritual of sakura is my favorite Rituals scent!